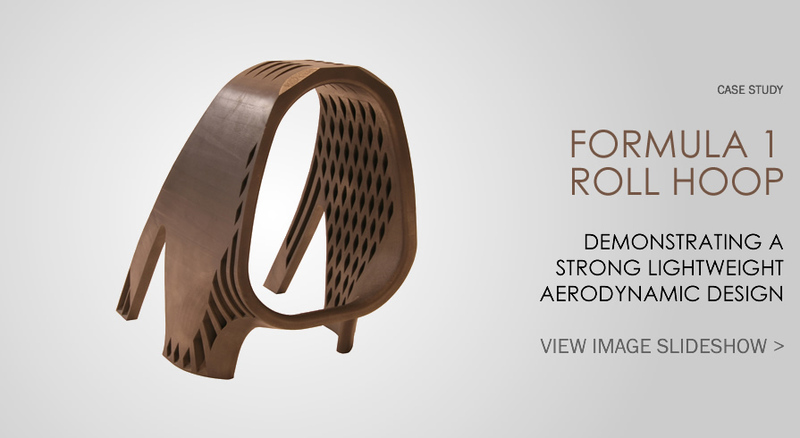 Autodesk Within Consulting, in partnership with manufacturer 3T RPD, have designed a strong yet lightweight titanium alloy Roll Hoop using their expertise in weight reduction while maximising on the benefits only additive manufacturing can achieve. This vital component needs to be strong enough to withstand high stresses during a crash and so designs are usually heavy. This is not ideal for maintaining a low centre of gravity, especially as the part is attached to a raised point of the vehicle. Within's signature lattice structures reduce the weight considerably while adhering to aerodynamic and stress requirements. Impressively, only the underside of the hoop’s face required a small support structure to be added during build as the remainder of the design was self-supporting.